I’m on the East Coast for two weeks, visiting family and also doing some family history research for clients. So I’m looking at local history in places like New Jersey, Pennsylvania and Maryland, three states in which many of you San Diegans undoubtedly have roots in addition to myself. So today I’d like to offer a website for you to check out from New Jersey. It’s the website of the Wheaton Arts and Cultural Center in Millville, New Jersey. Millville is in southern New Jersey, an area that in addition to farming was at one time a center of glass production for the nation in the eighteenth and nineteenth century. When you get to the home page, scroll down to the bottom where there’s a link to the Museum of American Glass for a little background. Then check out the rest of the site. Sample a little history from another part of the country! Virginia? That would seem at first glance like one BIG detour! But no, there was, for a few years anyway, a place, essentially just a post office, in San Diego County called Virginia. It was in the southern end of the Poway Valley. In the very rural, sparsely populated north San Diego County of those days, post offices moved around a lot, based often at the ranches of individual families. The notice about the creation of the Virginia post office offers a typical example. “The 320-acre ranch of Dr. Wright, which lies in the Clemente valley on the Escondido stage road about three miles northeast of the old adobe postoffice, has been purchased by Mr. and Mrs. Frank Tower,” began an item in the San Diego Union of January 21, 1891. Listings in directories over the next few years showed the same handful of people in Virginia. Apparently it was a bit out of the way for people in the northern and eastern parts of what was then called “Linda Vista mesa.” Residents in that area petitioned for another post office not long after Virginia had been established. That petition was granted, creating a postoffice whose name is familiar to all of us today. “Benjamin Myers has received his commission as postmaster at the new office of Miramar, near the Scripps ranch,” announced the San Diego Union of May 12, 1892. The Virginia post office was formally closed October 31, 1900. 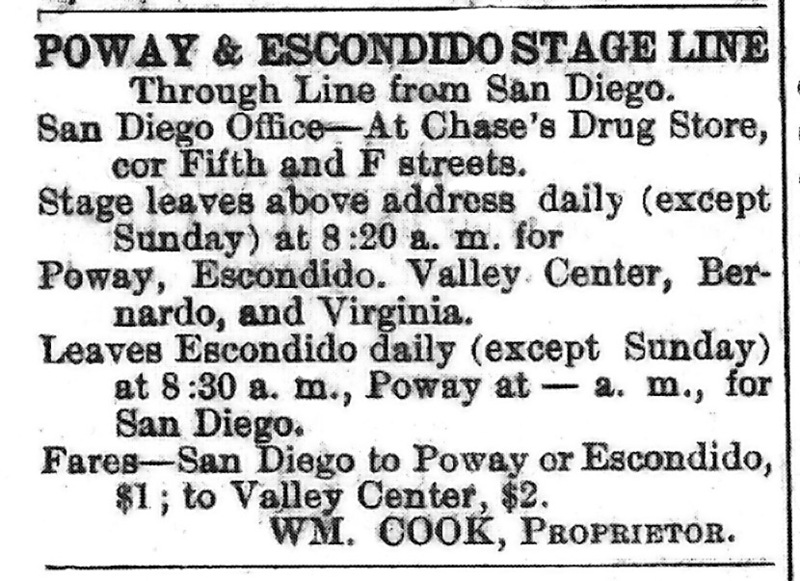 Sources for this post included historic San Diego city and county newspapers, San Diego county directories, and the U.S. National Archives listings of postmaster appointments. How many students and faculty members on the campus of Cal State San Marcos today realize that the previous occupants of their campus were millions of chickens, residing on one of the largest chicken ranches in the world? 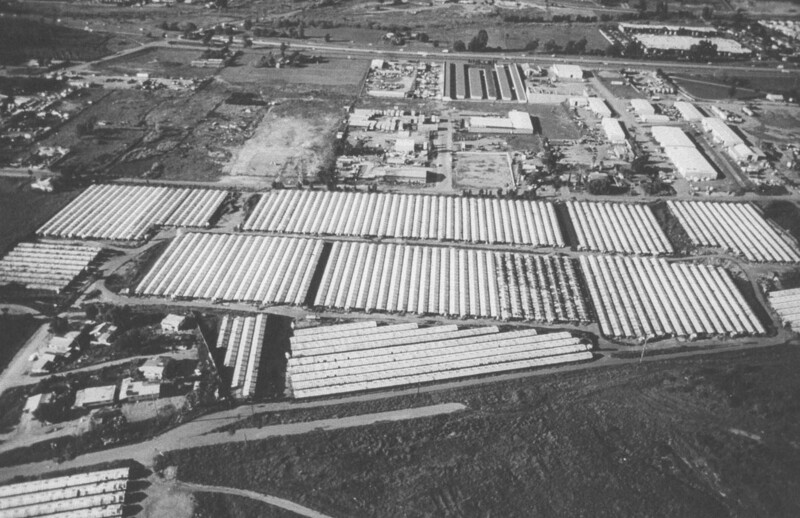 All those white-roofed buildings were chicken houses where the laying hens were kept, according to an interview I had with a granddaughter of Terenty Prohoroff, the Russian immigrant who founded the farm. Those houses made up the largest portion of the ranch, with a separate section for young chicks. At its peak the farm housed some two million chickens and produced some 329 million eggs annually. Contemporary newspaper accounts described it as the biggest chicken ranch in the county and one of the largest in the world. Farmers and agricultural departments from as far away as Australia and Japan visited the place. The ranch also had a plant for processing fertilizer, as you’d expect from an operation generating almost 11 million pounds of chicken manure each month. The flower-growing operations of the Ecke Family of Encinitas was one of the biggest customers for Prohoroff fertilizer. In 1985 the Prohoroff family sold the land to developers who in turn sold part of the acreage to the state of California for the construction of today’s Cal State San Marcos campus. Sources for this post included the San Marcos Historical Society archives and interviews with Prohoroff family members. There once was a post office named Nellie…. Nellie McQueen, whose name appears on the register as the first postmaster, was a rancher on what was then called Smith Mountain. At that time the small community of ranchers on the mountain had to make a long ride down to Warner Springs to get their mail. “Whoever happened to be going, got the mail for everyone,” according to Marion Beckler’s 1958 book, Palomar Mountain: Past and Present. McQueen, an energetic and industrious person, applied on behalf of her community for a local post office and offered herself as postmaster. But for their own reasons the Post Office Department preferred single word names. They also said there was another post office with a name similar to “Fern Glen.” So to avoid any confusion they chose the name “Nellie.” McQueen protested that designation but was unsuccessful in getting it changed. In addition to the National Archives and the Beckler book, sources for this post included the 1937 book Palomar: From Tepee to Telescope, by Catherine M. Wood, and historic San Diego newspapers.